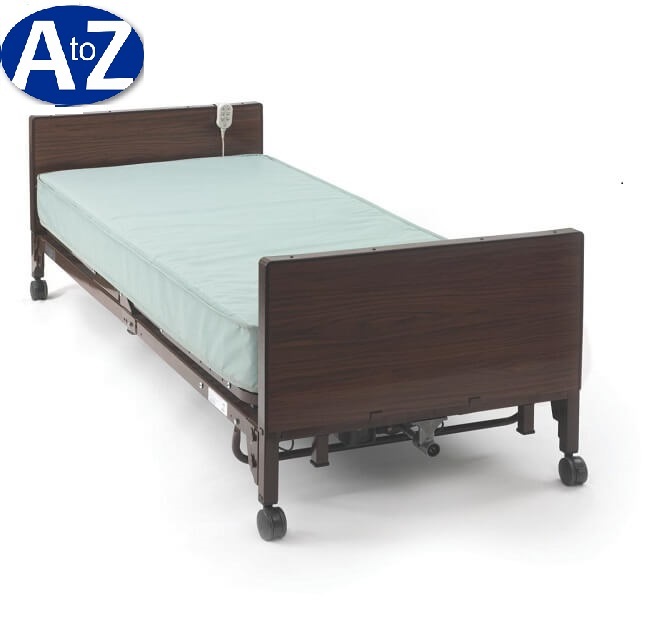 A to Z Medical Equipment offers Full Electric hospital beds with weight capacities of 450 Lbs. Bed height ranges from 14.5" to 22.5"
Height Range: 14.5" to 22.5"
Renting a Full Electric Hospital bed with A to Z Medical Equipment & Supplies couldn't be easier. Book Online or call 1-214-349-2869 to arrange a hospital bed rental at your destination. We can deliver the hospital bed to your hotel, residence, or convention - whichever will be most convenient for you.